Thinking of keeping active and enjoying yourself, but would rather do it through movement and rhythm? 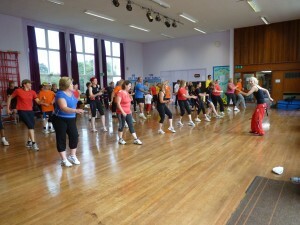 ZUMBA is a modern, dance themed way of exercising. It’s about enjoying yourself and having as much fun as possible. It allows you to feel apart of a group and enjoy a class filled with music, routines and excitement, whilst keeping your body and mind active during each and every session you participate in. If that’s the type of exercise that appeals to you, then please join in the fun.